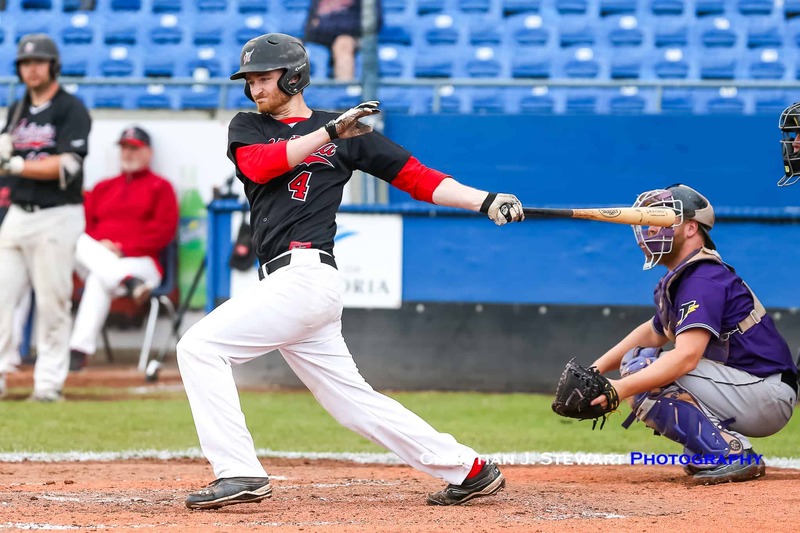 August 26, 2018, Victoria, BC – A three-run, fourth inning home run by Duncan Blades broke up a tight 1-1 ball game and propelled the host Victoria Mavericks to an eventual 4-1 win over the Tecumseh Thunder (Ontario 1) Sunday morning in semi-final action at the 2018 Baseball Canada Men’s National Championship at Wilson’s Group Stadium at Royal Athletic Park in Victoria. 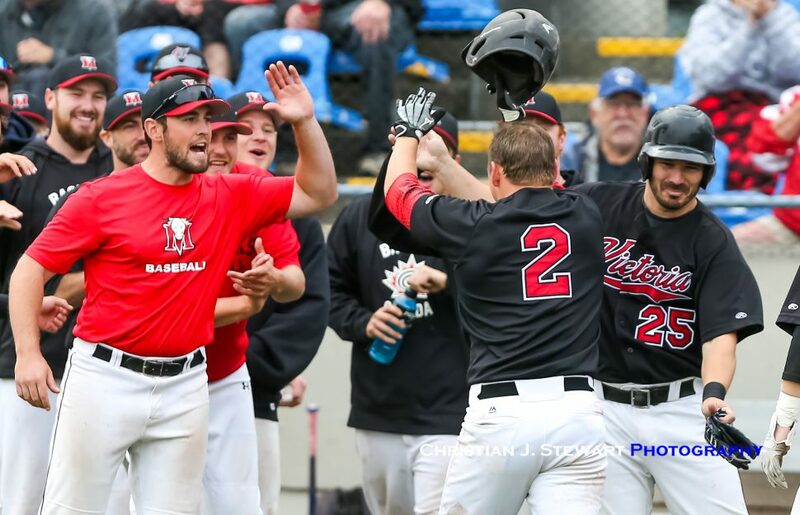 The win puts the host Mavericks into the Championship game at 7:00 pm against the winner of the second semi-final between Team BC (the Coquitlam Angels) and Team New Brunswick (the Moncton FisherCats) that takes place at 12 Noon Sunday. 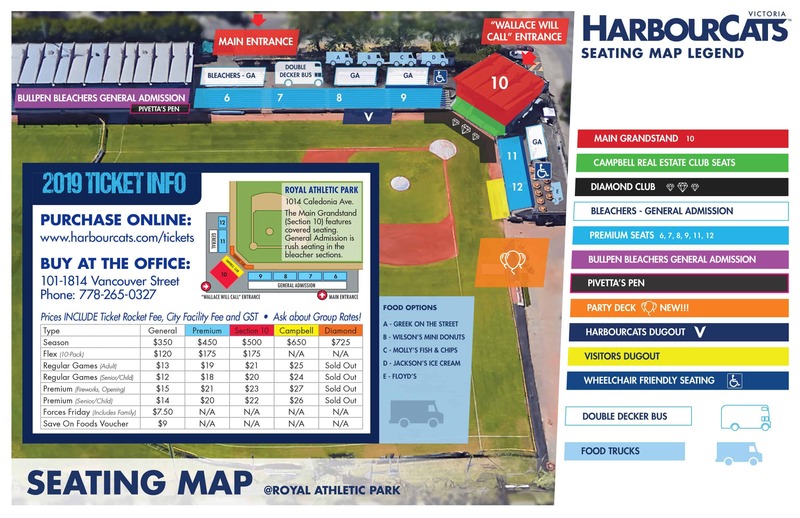 Sunday’s win was sweet redemption for Maverick’s starter and former Victoria HarbourCat Alex Rogers, who was thumped by New Brunswick in his first start of the tournament on Thursday, but came back nicely Sunday to hold the Thunder to a single run on five hits over his complete seven innings of work. 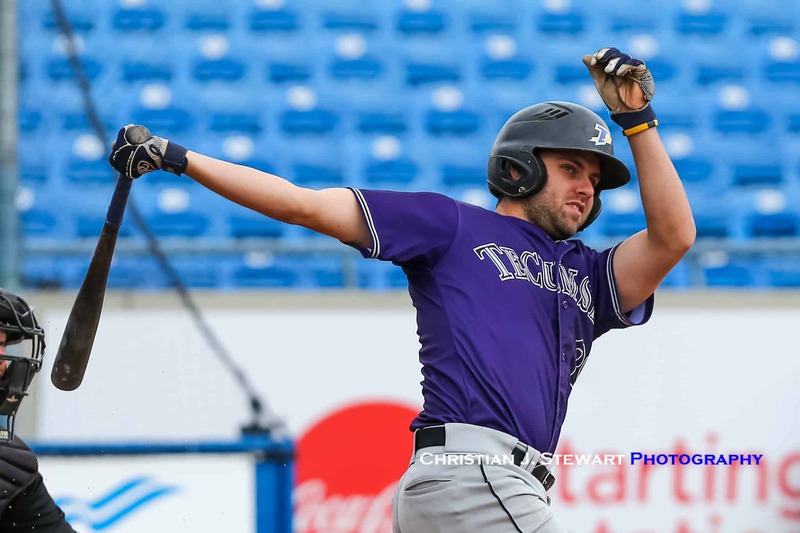 It was also sweet retribution for the Mavericks, who earlier in the round robin lost to Tecumseh 4-3 in extra innings and on Sunday handed the Thunder their first loss of the tournament, sending them into the Bronze medal game at 4:00 pm. Victoria would come out of the gate early in this one, scoring a run in the top of the first when Blades would draw a lead off walk and eventually come in to score on a ground out by Charlie Strandlund. Tecumseh would get that run back in the bottom of the third, when a sharply hit RBI-single from Steven Adam would score Brandon Gignac. 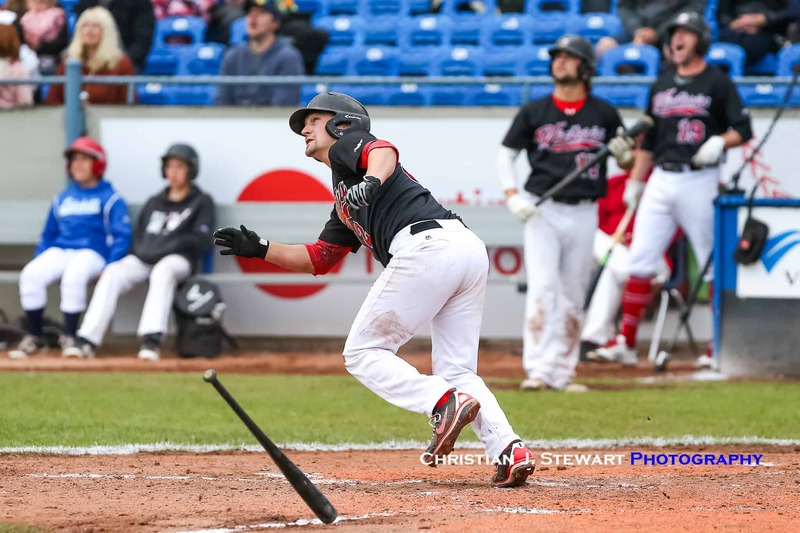 The Mavericks would answer that in the fourth, setting up Blade’s big blast when Liam Goodall would leadoff by reaching on a Tecumseh error, their fourth of the game. Brodan Bydeweg would then chip in a one-out single, setting the table for Blades, who launched the first pitch he saw from Tecumseh starter Kyle Breitner over the left field fence to give the Mav’s the 4-1 lead. It would be all Rogers from there as he would shut the Thunder down the rest of the way, closing out the final four innings with no damage to preserve the 4-1 complete game win. 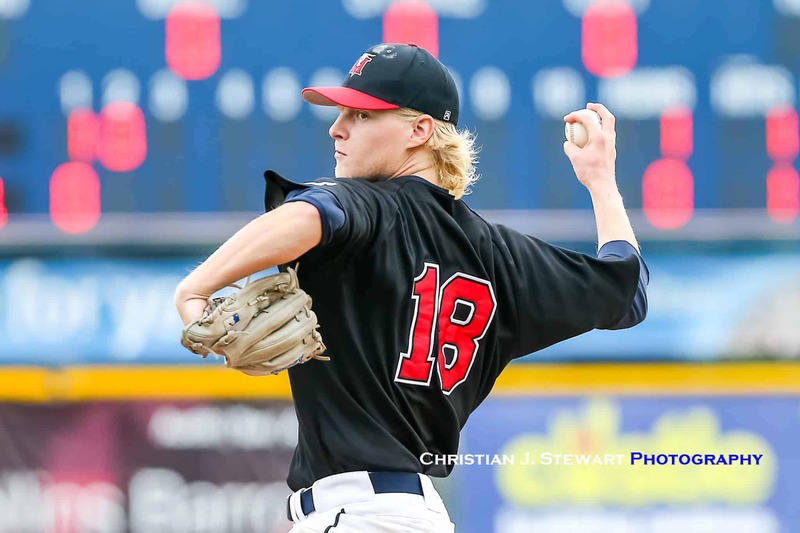 Tecumseh starter Breitner takes the tough loss, giving up the four Victoria runs on just three hits, while striking out four in his five innings of work. Brandon Lindquist pitched the final two innings for the Thunder. Steven Adam led the Thunder offensively with a pair of hits and their lone RBI.